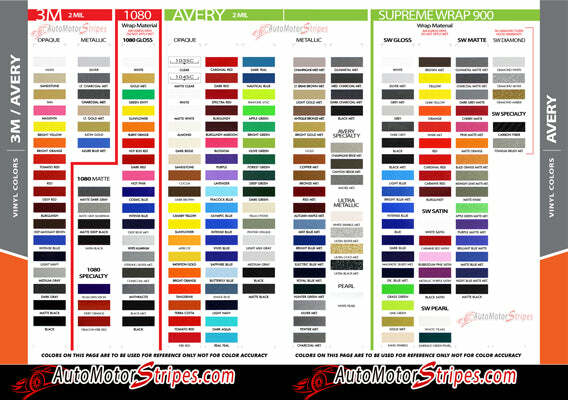 8/16 PROFESSIONAL ACCENT PIN STRIPING ROLLS, brand new from AutoMotorStripes! AutoMotorStripes features durable Professional 3M Quality Pin Striping and Accent Stripe Vinyl Rolls. Choose from many various and popular styles and width sizes, from 3/16" 4/16" 5/16" 8/16" 8/32" 9/32" 10/32" double or dual line pinstriping rolls, or solid single line vinyl rolls in sizes 1/4" 1/2" 3/4" 7/8" 1" 2" 4" 6" 8" 10" 12" sizes.